← More on USS Headquarters, Etc. Friday morning’s report on November job creation surprised analysts across all the metrics – although most economists seemed to be forecasting a surprise even as they predicted much lower numbers. The Census Bureau survey showed 321,000 new jobs in November and raised the previous estimate of job growth in October from 214,000 to 243,000 new jobs. That blew away all estimates and marked 10 straight months of 200,000 jobs created. The bigger surprise was in the details. The unemployment rate remained at 5.8%. That may seem a surprise but it was because the labor participation rate remained the same and the U-6 unemployment – that’s the number for those who are part-time or temporary for economic reason – fell to 11.4%. That’s significant because the decline is caused by a shift to more permanent hiring by employers. Economists have speculated for several months that the tightening labor market and better economic prospects would force employers to grow permanent payrolls more rapidly. November marks a stronger response to that trend. If it becomes a new level of magnitude, the job market will be a real tail wind for the economy in 2015. Some of that additional hiring is definitely showing up in Pittsburgh in the industrial sector. The recent announcements of new facilities by GE, Ensinger, FedEx and Amazon seem to be the start of a wave. Earlier this week, Universal Electric announced that it was expanding because of growth in its transportation market and was adding 81,000 sq. ft. and 58 employees. Mascaro Construction has begun moving dirt on the addition. 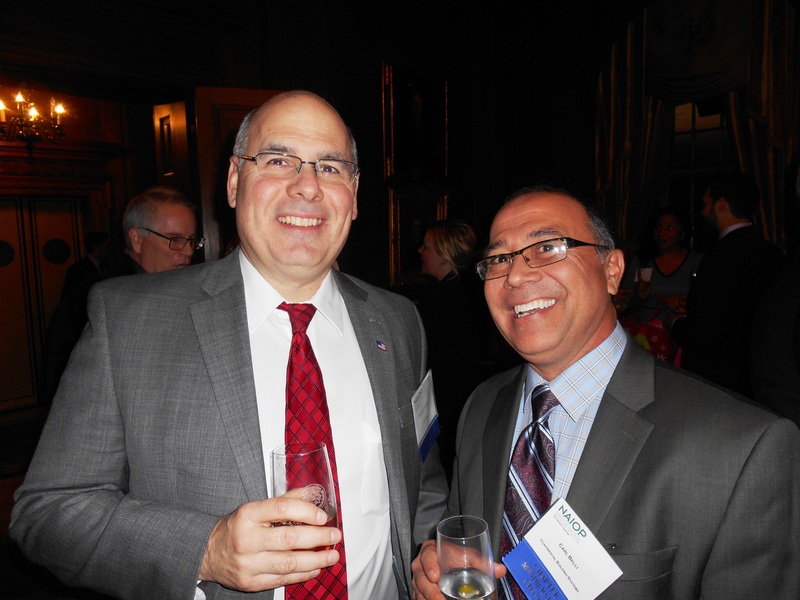 Clayco’s Scott Caplan and Carl Belli from Continental at the NAIOP Pittsburgh bash.